Spring season has hit home venues where softball, baseball, men’s lacrosse, women’s lacrosse, men’s tennis, and women’s tennis joined men’s and women’s basketball at home this past weekend. The Lions’ athletic teams posted a 10-2 record combined on the weekend (Thursday-Sunday). Women’s lacrosse opened its season with an 18-10 win over Molloy College on Sunday. 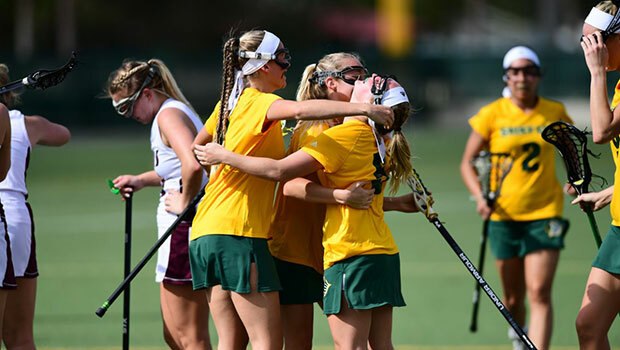 Follow your favorite Saint Leo teams on social media! Visit the Saint Leo Athletics’ social stream at www.SaintLeoLions.com, and be sure to follow us on Facebook at www.facebook.com/SaintLeoLions, and on Twitter and Instagram at SaintLeoLions.